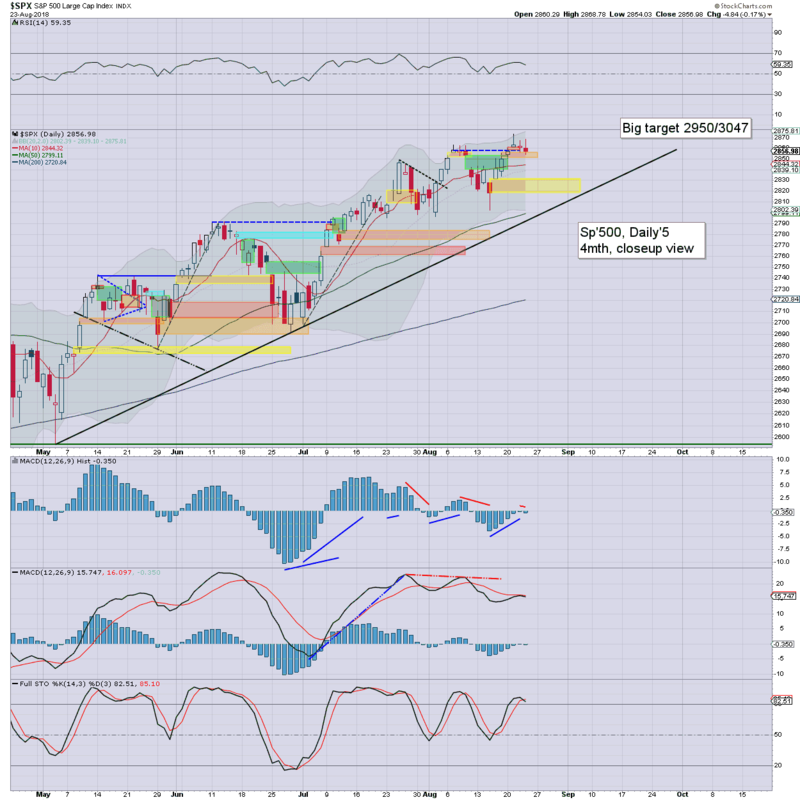 US equity indexes closed a little weak, sp -4pts (0.2%) at 2856. The two leaders - Trans/R2K, settled -0.5% and -0.3% respectively. 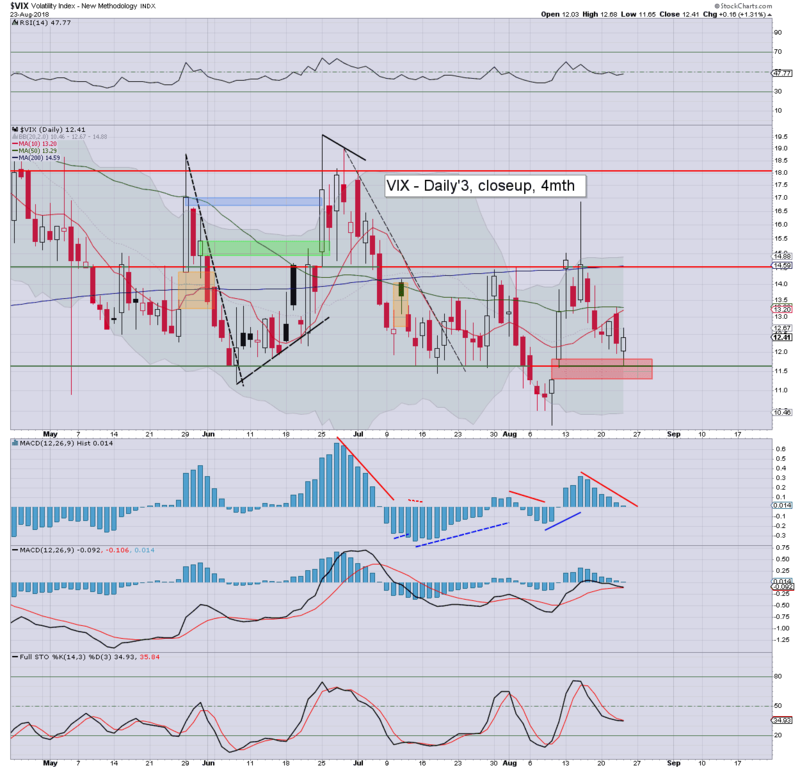 VIX settled +1.3% at 12.41. Near term outlook offers Powell induced upside into the weekend. US equities opened fractionally weak, saw a little swing from 2859 to '68, and then saw further chop, leaning on the weaker side into late afternoon. Volatility remained subdued, swinging from a low of 11.65, and settling in the mid 12s. If Powell can help inspire equities higher on Friday, then VIX will settle the week in the 11/10s.